To learn more about the Maryland Horse Council's Farm Stewardship Committee, visit: http://www.mdhorsecouncil.org/farm_stewardship.htm. Tips for Managing Horse Manure - Composting ! Piling horse manure up into a miniature mountain and leaving it be no longer flies. "Back in the day, we all did this. Nobody thought anything of it," Jamie Cohen, University of Florida farm outreach coordinator, said in a recent My Horse University webinar, "Horse Management Strategies To Help Your Horse, Help the Farm and Protect Our Water". The program was co-hosted by Equine Land Conservation Resource, a national non-profit organization working to keep land open and accessible for horses and horse-related activities. Old manure practices need to change, Cohen said, urging every horse owner to develop a manure plan now. "Legislation is coming, if your state doesn't have it already, so make this a priority," she noted. A horse makes about 50 pounds of manure every day. Properly managing that manure and pastures will prevent nutrients in manure and urine from entering ground and surface waters. Best management practices can be used to help a farm flourish and stay productive, while protecting water. BMPs are common-sense, cost-effective, science-based techniques that can be used to keep horses, farms and water resources at their best, said Cohen, who also serves as technical resource for Equine Land Conservation Resources. "It's just good management. It's little steps that we all can do every day," she said. Fertilization becomes a big problem when nutrients are not utilized correctly. Adding too much or the wrong type of fertilizer can prevent proper nutrient uptake by pasture grasses. If the soil of the pH is wrong, grass and weeds will be unable to utilize it. "This all means wasted money and excess nutrients to the aquifer," Cohen pointed out. Overstocking the land is another issue. It destroys the grass and leads to nutrient excesses and increased soil erosion that can seep into ground and surface waters. The damage decreases property value and land usefulness, while increasing upkeep and required spending. The nitrogen from horse manure and urine can increase algae growth, harming aquatic life and potentially making the water undrinkable. "Use this rule of thumb: if it touches the ground, it will eventually reach the aquifer," Cohen advised. On the other hand, good waste management can help improve soil and water quality, leading to improved forage and better nutrient availability. Spreading fresh manure, gathering it in a dumpster, and composting it are all potentially viable options, depending on the farm's particular situation. When spreading fresh manure, keep it within acceptable rates. "Don't spread so thickly that the grass is covered. That's not effective spreading and you're not helping the health of the grass," Cohen pointed out. Don't spread manure or compost on hills or near rivers, and keep records, whether spreading on the farm or hauling the manure away from the farm. "It's a good farm practice, period, and it provides a record of how you are managing," Cohen said. "We need to be proactive." On the down side, spreading fresh manure won't stop weed seeds and it won't help pastures like composting can, she added. Poor, sandy and degraded soils hold forage poorly and run-off easily, Cohen pointed out, while spreading composted manure provides organic matter that can really help to improve soils by retaining more moisture and sustaining forage better. Compost is a mixture of decaying organic substances that contains beneficial microbes and fungi. It will improve soil health, decrease the amount of water soil needs and be a slow release fertilizer. It is a tremendous soil amendment, worth good money, and helps to protect ground and surface waters, Cohen said. Composting on-site can be easily set-up and managed. Besides the "fantastic" benefits it offers soil, composting can decrease the volume of manure and matter by over 30 percent, kill up to 90 percent of weed seeds and reduce parasitic worms. There are several types of composting systems. Anaerobic composting is done in a vessel, while aerobic digestion composting uses forced or static air in bins or windrows. "You can go fancy with an O2 system or you can go simple by just putting a little pad down. There are lots of options," Cohen noted. One handsome O2 system uses used forced air with a small blower to push air through PVC pipes into bins, while a static air composting system uses pipes drilled with air holes that are inserted into piles of composting materials to eliminate the need for turning. She cited a good set-up, costing about $250 to construct, that had a Plexiglas hinged roof over a series of three bins, removable front slates from old barn boards, and static air tubes for additional air infusion into the composting material. The bins can also be made big enough to accommodate the bucket of a front end loader. Manure composting bins can be tricked out with concrete flooring to stop leaching and tarps to shield the pile from excess rainwater and at the desired moisture level of a wrung-out sponge. If your horse barn has automatic waterers, add the waste water to the compost pile, Cohen suggested. Stockpiling manure, leaving it and not managing it in any way, is not really composting, Cohen pointed out. Composting requires management. Windrow composing is a great system, but it can be an expensive option. The windrowed materials can be turned with a compost turner or a front-end loader. Creating a dry lot offers many benefits. It makes a good "sacrifice area", thereby saving other pastures and is good for particularly good for horses on a limited caloric intake or just off stall rest. It should be situated close to the barn for easy management and shouldn't be too large. Since there is no plant material to uptake the nutrients from manure and urine, make it a habit to regularly pick out the manure to keep it clean. Horses should not be grazing a pasture below three inches in height because it will rip the grass out of the ground and denude the root below, Cohen said. "Shift your horses onto the dry lot when pasture length gets low or it will cause the demise of your paddocks," Cohen pointed out. It's also important to test the soil every two or three years to plan proper applications of fertilization, control weeds and never mow paddocks below five inches in height. For more information on BMP, check out the ELCR's BMP guide, "Best Management Practices Can Help Your Bottom Line: A Guide to BMP for Horse Properties" at http://elcr.org/bestmanagmentproactices/. For conservation assistance and information about cost-sharing, visit the Natural Resource Conservation Service site at www.nrcs.usda.gov, and check your local Extension office to learn about state and local legislation. For more information on composting, visit eXtension.org's manure management page at www.extension.org/pages/25674/horse-manure-managment or "A Guide to Composting Horse Manage" at www.whatcom.use.edu/ag/compost/horsecompost.htm. Thank you to longtime MHC sponsor The Equiery for posting this on their blog. The Maryland Department of Agriculture (MDA) has issued a Request for Proposals (RFP) for demonstration projects from vendors, businesses, and individuals offering technologies, equipment, infrastructure, or services that can improve the management and utilization of manure and other agricultural resources. Maryland’s nutrient management regulations govern the amount, timing, and placement of crop nutrients—including manure and other organic nutrient sources—on agricultural land to prevent excess nutrients from impacting waterways. To help livestock producers comply with these regulations, Maryland supports and invests in alternative uses for manure such as fertilizer manufacturing, composting and manure-to-energy projects that add value to the farm business model. MDA has $2.9 million available to invest in these types of innovative technologies during State Fiscal Year 2015, which ends June 30, 2015.Vendors, businesses, and individuals are invited to respond to this RFP; click here to download the RFP. If you have questions about the program, contact Louise Lawrence at the Maryland Department of Agriculture at louise.lawrence@maryland.gov. Deadline for proposals is March 6, 2015. This program is dedicated to the memory of Kathleen Arlee "Kathy" Petry Mathias of Ocean City, who passed away in 2011. The wife of Maryland State Senator James N. Mathias Jr., Kathy was an inexhaustible advocate for Maryland’s Eastern Shore and its farming community. Subject to funding availability, MEA will provide grants to farms/businesses in the agriculture sector to cover up to 50% of the cost of energy efficiency and/or renewable energy upgrades after all other incentives have been applied. For more information, read ourProgram Description. Only energy efficiency projects, or projects that combine energy efficiency and renewable energy measures, are eligible for funding. Projects consisting of renewable energy measures only are not eligible for funding under this program. All energy measures must be installed before November 1, 2015. Each project, which can consist of multiple energy measures, needs to be cost effective in aggregate. See our Program Description for more info. Applications must be submitted by Friday, January 30, 2015. Questions? See our Application Information Q&A to assist you with completing the best application possible for this competitive program. For an invitation please contact Erin Kelly (erin.kelly@maryland.gov) and indicate which webinar you would like to attend. If you have any questions about this program, please submit them to Program Manager Dean Fisher (dean.fisher@maryland.gov) or EnSave, an MEA subcontractor supporting the Mathia Agriculture program. On October 13, 2014, the Maryland Horse Council Farm Stewardship Committee held its fall meeting with a focus on composting. Rain threatened but about fifteen people came to lovely Brooke Grove Farm in Olney to learn more about composting. Farm owner Dr. Charles Mess is an avid composter. He has about fifteen stabled horses and twenty field-boarded horses on 203 acres of pastures and hay fields. Brooke Grove is one of the now twenty Certified Agricultural Conservation Stewards horse farms under the Farm Stewardship Certification and Assessment Program (FSCAP). The meeting was held at one end of the indoor arena. Refreshments were sponsored by Piedmont Insurance, represented at the meeting by Matt Curran. Thanks again for this sponsorship! Jane Thery, Farm Stewardship Committee Chair, opened the meeting with a review of the data on Maryland horse farms and the Chesapeake Bay watershed areas. She noted that modern composting of horse manure not only makes good use of a local and natural source of soil nutrients but keeps these nutrients out of the water system. This reduces the algae bloom that damages aquatic life. Mollie Bogardus, Equine and Agricultural Specialist of Green Mountain Technologies, presented a new technology called "Earth Flow" to convert stall waste into reusable bedding. Her sample of the final product looked something like dark mulch. The system is being installed as a pilot project at Days End Farm. Dr. Mess explained his composting operation. He has three piles which are about thirty feet long and three to four feet high. The first pile has fresh stall waste. The middle pile has actively composting manure and bedding. This pile was aerated as it was moved. The internal temperature reaches 140-170 degrees Fahrenheit which kills seeds and pathogens. The third pile is compost ready to be used. The composting piles are on a large cement pad separated from the stalls by the indoor arena but with easy access for stall cleaners. Dr. Mess spreads the final compost on his hay fields using a finely-calibrated spreader. He uses the hay he produces for the horses on the farm. Eddie Franceschi, Equine Resource Conservationist, Montgomery Soil Conservation District, explained the cost-sharing programs through his office, including support for the composting pad. He noted that technical assistance is also available for soil testing and effective compost application. A special thanks to Dr. Mess for hosting this meeting on his impressive farm. Check out this great article in Chesapeake Bay News about Maryland Horse Council member Waredaca. A link to the article can be found HERE. Nestled next to Patuxent River State Park in Laytonsville, Maryland, are the 220 rolling, vegetation-rich acres of Waredaca horse farm. Husband and wife Robert and Gretchen Butts are the second generation to manage the family farm since Robert’s parents purchased the property in 1953. To them, Waredaca is more than just a business: it is their home. The farm has evolved from a summer camp to a boarding stable for more than 80 horses, 30 of which are directly owned by Waredaca; recreational and competitive riders board the rest. The farm continues to host a youth summer camp, hold eventing competitions and offer year-round riding lessons. “To be able to make a living doing things you love—and to do it at home—is the best. This place is my life, and that’s pretty special,” Robert said. The Butts’ connection to their land has sparked a deep sense of environmental stewardship within their family. “We’ve been here our whole lives, and plan on being here a long time. I think for a large portion of the agricultural community, that’s the case. Many have been motivated conservationists for years,” Robert explained. The Maryland Horse Council has been a strong partner with the state’s Farm Stewardship Certification and Assessment Program (FSCAP), which certifies agricultural stewards throughout the state. Since its development in 2010, FSCAP, administered by the Maryland Association of Soil Conservation Districts (MASCD), has conducted 131 reviews on 108 farms and certified 91 agricultural conservation stewards protecting 27,000 acres in 16 counties. 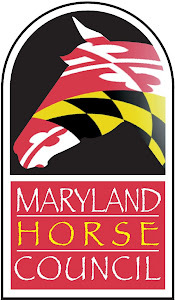 The Maryland Horse Council has helped FSCAP certify 20 horse farms. According to the state, any farm with more than eight “animal units”—normally defined as one mature cow weighing about 1,000 pounds and her suckling calf—is required to follow a nutrient management plan to ensure that excess manure is properly disposed of. Assessors from FSCAP are trained by theMaryland Department of Agriculture to review nutrient management plans with the same attention to detail provided by official inspectors. Assessors also inspect other “best management practices” (BMPs), which reduce pollution and improve habitat on farmland. When certified, each steward gets his or her own webpage on the FSCAP website and the landowner receives a large sign to place on their property, advertising their environmental stewardship. "Many stewards feel that certification means more than just personal recognition; it’s also good for business,especially with farms that deal directly with the public” Talbert said. “ So far, we’ve provided 91 signs, but there are 133 signs displayed. By working together, Robert and Gerald were able to identify and address a streamside fencing issue that thwarted Waredaca’s certification efforts. The problem has since been fixed and the farm has been certified. The Butts follow a nutrient management plan, composting their manure and spreading it on their fields to encourage rich soil and healthy pastures. They have also put a number of BMPs in place: a manure storage facility, a spring-fed water tank and stream-side buffers with fencing to keep horses out of streams, thereby keeping the surrounding creeks and streams clean. The Butts also practice rotational grazing. Strategically moving livestock to fresh pastures can allow previously grazed fields to regenerate, and is a preferred practice for fighting overgrazing. But many farmers do not have the space to rotate their grazing pastures, leading to field erosion and thesedimentation of rivers, streams and the Bay. “We are very blessed to have a lot of room where the horses can roam,” Robert said. “Lack of space can be a limiting factor for many [horse-owners]. Overgrazing is a very common thing in the horse business, and will be hard to eliminate completely because of the way horses eat. Cows don’t eat the grass all the way down to the ground, but horses do,” he explained. Through the efforts of programs like FSCAP and the willingness of farmers like the Butts to sign on to voluntary conservation programs, stewardship certification programs are gaining traction among the agricultural community. “Part of the effort here is not just to recognize those folks that have already done a great job, but to also provide incentive for someone to step up and put those one or two BMPs in place that they may have been missing to meet the standard,” said Talbert. To view more photos, visit the Chesapeake Bay Program's Flickr page. About Jenna Valente - Jenna is the Communications Office Staffer for the Chesapeake Bay Program. She developed a passion for conservation through her outdoorsy nature and being raised in Hawaii, Washington State and Maine. A graduate of the University of Maine's Communication program, she loves any opportunity to educate the public about the importance of conserving the environment. How do successful farm families diversify their business? MHC Sponsor Farm Credit recently published this newsletter with great articles about new ways to diversify your farm business. The Maryland Horse Council received a grant from the Maryland Horse Industry Board to conduct a series of surveys on horse manure management throughout the state. This issue was identified as a priority concern at the 2009 Maryland Horse Forum. Under this grant, the first survey was sent out electronically to horse farms. The survey is voluntary and all results are anonymous. To date, we have received over 200 responses from horse farms located throughout the state. Here are the preliminary findings of the survey. Ø Most farms (79%) have never used available technical assistance or cost sharing programs from state or county agencies. Of the 21% who did use these programs, a third found them helpful, a third found them not helpful and a third found them somewhat helpful. Of this 21% who used the programs, most (70%) would like to have more funding available.